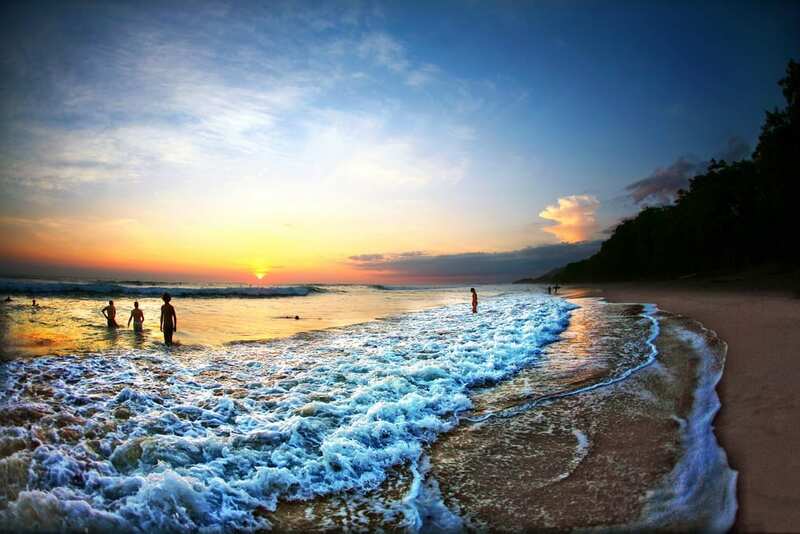 Why do Retirees Prefer Costa Rica? Are you considering a move to another country? If so you will be joining literally millions of Americans who call “home” someplace other than the land of their birth. For some, especially retirees, the allure of a warm place with a lower cost of living is irresistible. It actually is possible to spend your golden years relaxing beneath the palms. However, making an informed decision about where to live is a complex one, especially when you are heading abroad. When we start to research for a new place to live, there are some areas where it is pretty easy to get information about possible destinations: the cost of living, how to get a visa, what the weather is like, etc. But many of the things we value in life are hard to quantify. For example, there are no dollar values assigned to beauty or a state of relaxation. If we want high quality healthcare or a friendly community or being able to obtain the things we need easily, how do we quantify that? Well, International Living, a website dedicated to assisting people who want to live abroad, has done it! Here is a chart they released which according to their research shows the best places to retire in 2016. 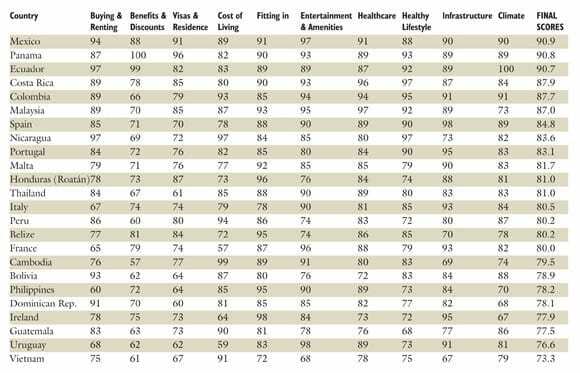 You can see that Costa Rica is ranked as number 4 overall as the best place for retirees to live. In addition, it is ranked as number 3 in healthcare. It is definitely a great place to live when you take into account all the variables shown in the study. There are also some interesting variables that aren’t on the chart. For example, language, which is not included, is also very important. When retirees seek healthcare, they want to be assured that the doctor or dentist that is going to see them is going to be able to understand their problem in English. Many Costa Rican healthcare centers know this and they have been investing in language classes for their doctors, dentists, nurses, and staff for years. Another factor that is absent from the list is distance. Malaysia and Thailand look good on paper, but do you really want to take a 16-hour flight for dental care or cosmetic surgery? On the other hand, you can get to Costa Rica in 2.5 hours from Miami, 3 hours from Dallas and only 5 hours from New York. Even better, most airfare to Costa Rica is 50%-70% less expensive than airfare to Asia. Your relatives and friends are far more likely to visit you in Costa Rica than if you choose to live in the other side of the world and getting back to the US or Canada is easy. And lastly, so many of Costa Rica’s advantages are hard to put into words, and must be experienced. A single visit convinces most retirees that the phenomenally beautiful and exotic natural settings, the sophisticated urban center of San Jose and the warmth of the Costa Rican people are the powerful variables that cannot be measured, only appreciated by the heart.